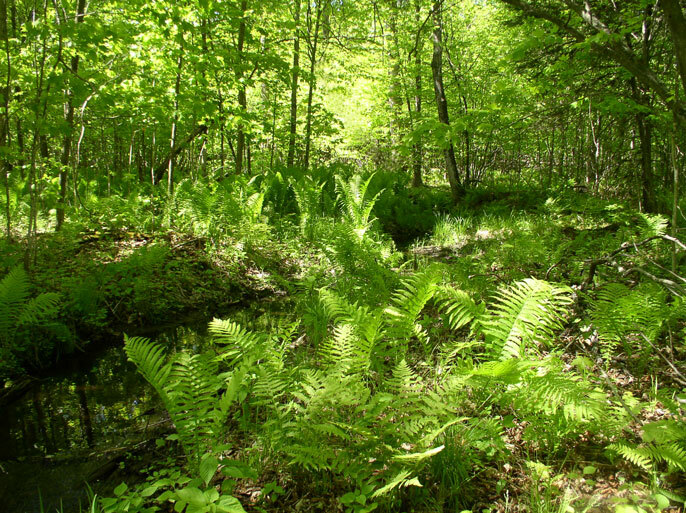 The forest is mostly second growth eastern deciduous forest, interspersed with wetlands and beaver ponds, as well as sedge-dominated rock ridges. A central ridge has about 20 acres of hemlock forest, a much more common forest type in the region before settlement. There are also old fields that remain from pastures created in the previous century. 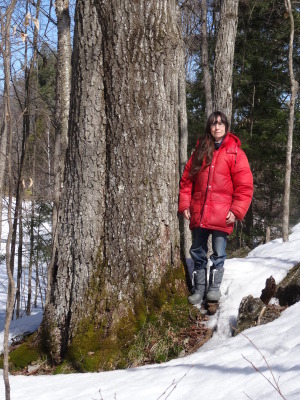 The original forests were predominantly sugar maple, beech, white pine and hemlock, which is typical for land on the Canadian shield in eastern Ontario. These forests were heavily logged in the 1800s and then often cleared for pastures and fields. White pine was removed for ship building, hemlock was removed for tanning leather, and most other species of trees were burned to produce potash which was exported to Europe. Thus, the current forests have altered species composition, with smaller trees, and reduced soil fertility. KNS lies on the extreme east side of a tract that was surveyed and subdivided as part of the Perth Military Settlement in 1816. Most of the nature sanctuary was settled somewhat later in history, as lands nearer Perth and on better soils were cleared and farmed first. The settlement history of the property is evidenced by the remains of four former farm houses, many stone wells, and even a small mica mine, as well as non-indigenous plants such as lilacs and elfdock. Gneiss bedrock underlies the nature sanctuary, and exposed rounded gneiss ridges alternate with valleys filled with glacial till. Although the soils are therefore acidic, and shallow, the presence of certain plants that require calcium, such as yellow lady’s slipper and bulblet bladder fern, indicate that some of the glacial till may contain marble from landscapes further north in the county. The east side of the property was submerged by the Champlain Sea just over 10,000 years ago, and so has marine clay deposits rather than till; some of these clay plains are covered in thick organic deposits. This produces a flat, poorly drained landscape. The shoreline of the Champlain Sea can still be recognized as it meanders from northeast to southwest across the property. The 141 ac. of wetlands on the nature sanctuary comprise 35% of the Scotch Corners Provincially Significant Wetland. Seven types of wetlands dot the landscape: vernal pools, wet meadows, shrub and deciduous treed swamps, emergent and open water marshes and ponds. There are more than a dozen ponds, varying in size up to 20 ac., which are interconnected by seepage areas and vernal pools left by melting snow in the spring. The wetlands support healthy populations of at least eight species of frogs: wood frogs, leopard frogs, spring peepers, American toads, gray treefrogs, mink frogs, green frogs and bull frogs. The earliest to call each year are usually wood frogs and spring peepers, often when ponds still have areas of ice. Wood frogs are rapid breeders in small temporary ponds, also known as vernal ponds; mating and egg laying are completed in just a few days. Gray Tree frogs, on the other hand, have a much longer calling period. They call from the trees before moving to water, they call from the water while mating, and then they call while leaving the pond for the forest. Bullfrogs are the last to call, usually during the hot evenings of July and August. 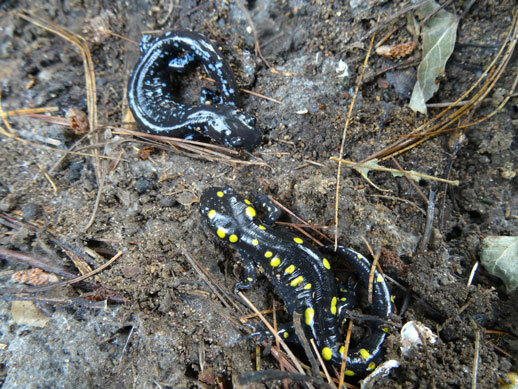 Other amphibians that you won’t hear include the spotted, blue spotted and red-backed salamanders. There are also populations of snapping turtles and painted turtles, with recorded sightings of the threatened Blanding’s turtle; several south-facing slopes are actively used by nesting turtles. There are frequent sightings of wetland mammals including otters, muskrat, and beavers. The rich wetland flora typical of ponds on the Canadian shield includes species such as yellow water lilies and water shield. There are also less-common species such as green arrow arum (rare in Canada) and the beautiful purple-fringed orchid. One species of carnivorous plant, horned bladderwort, is known from the nature sanctuary. Large clones of semi-aquatic sedges support populations of two rare butterflies, the broad-winged skipper and the Appalachian brown. 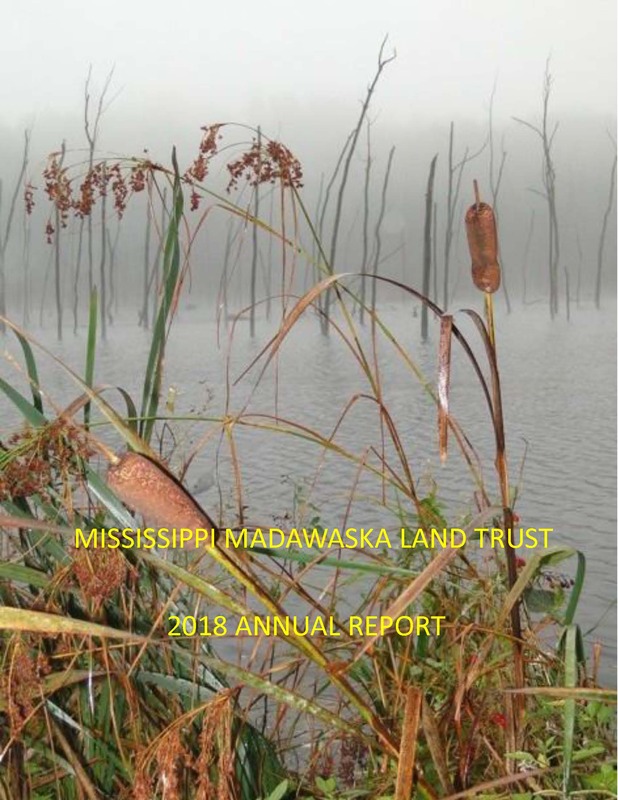 To learn how the Keddy Nature Sanctuary’s wetlands help protect the Mississippi River watershed, read this article. The Nature Sanctuary is featured in the September issue of Your Mississippi Minute, a newsletter of the Mississippi Lake Association. The dominant herbivores at KNS are deer, beavers and porcupines. The forests have clearly been shaped, and continue to be shaped, by all three. Deer browse and graze heavily, and have depleted native populations of understory species such as Canada yew, as well as preventing regeneration of preferred foods such as hemlock and yellow birch. Beavers have removed hardwood trees in the vicinity of most ponds, allowing dense conifer stands to form. One of the most common trees is now ironwood, a species which is not commonly eaten by deer or beavers. Many rock ridges are dominated by ironwood with a sedge understorey. Porcupines feed mostly on sugar maple and red oak trees, but seasonally feed in hemlock trees. It is likely that all three of these herbivore species are at higher than normal populations owing to the comparative absence of natural predators. Wolves and bobcats have been extirpated. Coyotes do hunt in the forest, however, and remove some deer, while fishers have been observed, and presumably take some porcupines. Over 100 species of birds have been observed on the nature sanctuary. The deciduous forests are rich in species indicative of high quality interior forest habitat including black-throated green warblers, ovenbirds, northern waterthrushes, scarlet tanagers, magnolia warblers, wood thrushes and red-shouldered hawks. The wetlands provide migratory resting areas for large numbers of ducks, particularly wood ducks, hooded mergansers and ring-necked ducks. Wood ducks and hooded mergansers often nest. There are recorded nests of both great blue heron and osprey and, for about a decade in the 1970s and 1980s, there was a heronry of more than thirty nests. Turkey vultures also nest in the nature sanctuary. Owing in part to the quality of the forest, there are at least four species of woodpeckers: downy, hairy, pileated and yellow-bellied sapsucker. 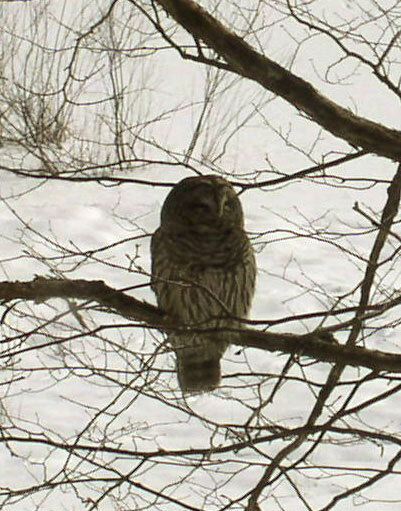 Barred owls are regularly heard and seen. 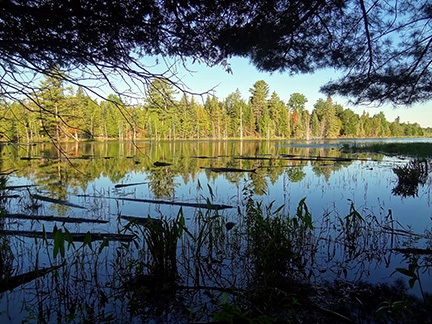 The nature sanctuary is under a conservation easement held by the Mississippi Madawaska Land Trust, for protection in perpetuity. The primary purpose of KNS is to provide a sanctuary for wild nature. Hence, recreational activities are not actively encouraged, and no facilities are yet provided for guests. Visitors may be accommodated, particularly those interested in furthering knowledge of the biota, but prior permission is required.